Do you have a budding young musician at home? Want some tips and tricks on how to practice at home as a family? 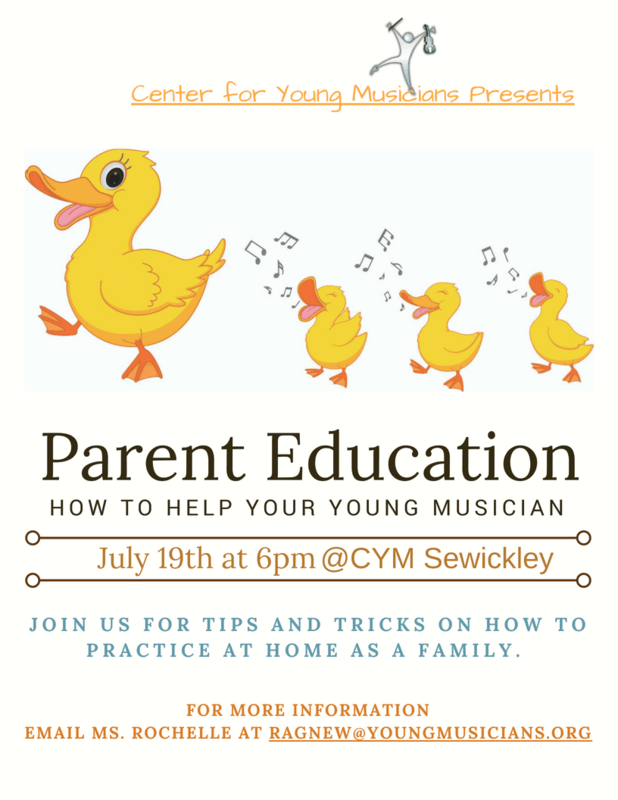 Join us for this helpful workshop on July 19th at 6 pm at CYM Sewickley.